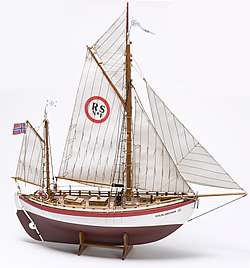 Billings Boats BIL606 Colin Archer 1/40 scale wood ship kit! RS 1 was built in 1893 for the “Norwegian Society for Shipwreck Salvage” at the Colin Archer shipyard in Rekkevig near Larvik, Norway. RS 1 was later named “Colin Archer” after its designer and builder.